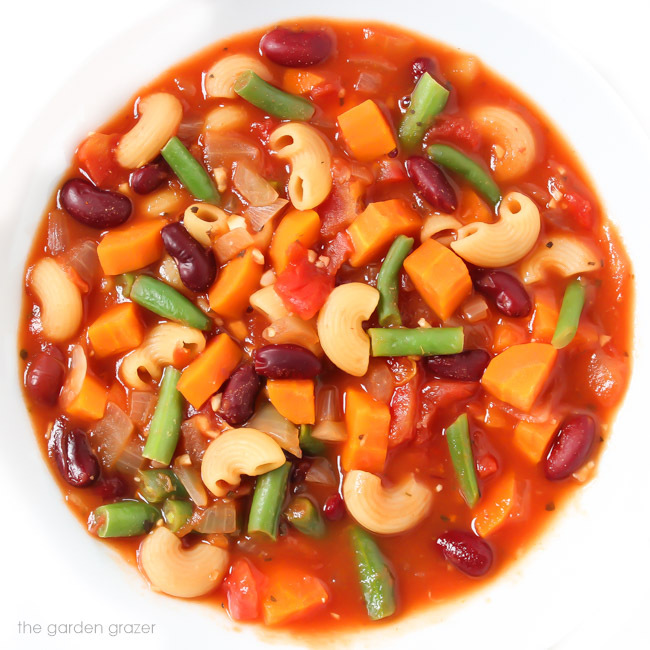 Vegan Minestrone Soup packed with beans, veggies, and pasta! An easy weeknight dinner that’s super customizable. And just one pot, 10 ingredients, and 30 minutes! Gotta love the classics! 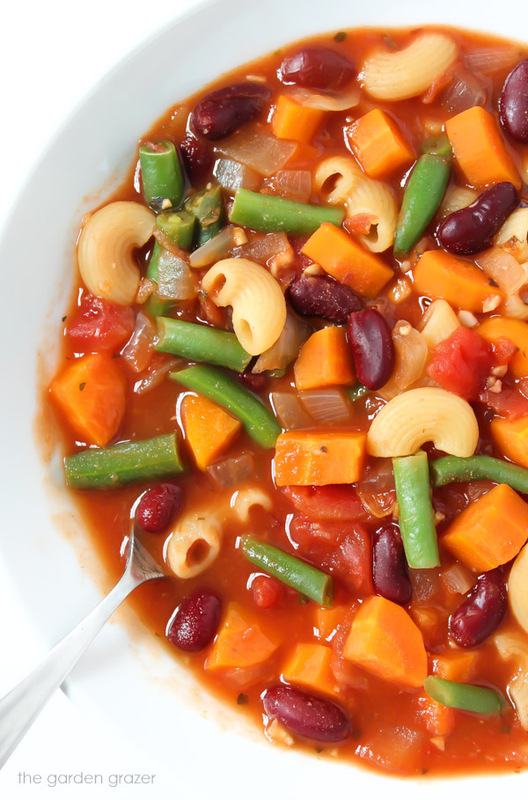 This 10-ingredient, 30-minute Minestrone Soup is super comfy-cozy. I love how it’s a beautiful mishmash of so many good things: veggies, pasta, and beans all swimming in a thick, tomatoey broth. Total comfort food! And it’s composed of mostly pantry staples I usually have on hand, so it’s always a great choice for those days I’m not quite sure what to cook. Feel free to put your own spin on this – there are endless variations and veggies to add depending on your own favorites and what’s in season. Enjoy! 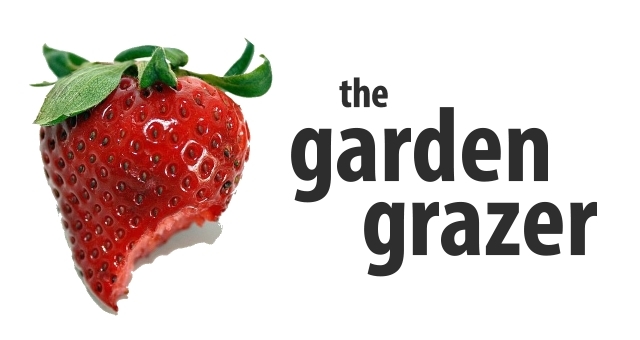 If you make or adapt this, come join The Garden Grazer on Instagram 🍓 and share a pic! I love seeing what you guys cook up. 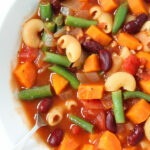 Healthy Vegan Minestrone Soup packed with beans, veggies, and pasta! An easy vegan weeknight meal that's super customizable. When onion is translucent, add garlic and 1 tsp. basil. Saute 1 minute. Add 4 cups broth, diced tomatoes with juice, and tomato sauce. Increase heat and bring to a light boil. When lightly boiling, add kidney beans (rinsed and drained) and pasta. Stir. Cover, reduce heat, and simmer for about 10 minutes or until pasta is tender. Stir in green beans during last few minutes of cooking. Optional variations: other herbs of choice such as oregano, parsley, thyme, or other veggies (spinach, zucchini, celery, corn, peas, broccoli). For gluten-free, use your favorite gf pasta (I love quinoa/brown rice blends). I have made this multiple times. My family loves it! I put more pasta in it for a more stew like effect. It is now a standard recipe in our home.